The temperature of water has an effect on hair health.we usually wash our hair with cold water or hot water in our daily life,and today we will let you have a knowledge of the effects of hot and cold water. washing hair with hot water:the advantage of washing your hair with hot water is that it can clear the oil and dirt from the scalp because the hot water has function of cleaning of pores in the hair root. but washing your hair with hot water frequently will leave your hair excessively porous which not only making your hair become dry ,brittle but also ripping off the oil from the roots. Washing hair with cold water:the hair cuticles will be closed that reduce the dirt and sweat in the scalp.at the same time,the damage of the hair will be reduced so that you can have a smooth and shiny hair.besides,it also promotes blod circulation to the scalp and keep your scalp clean. 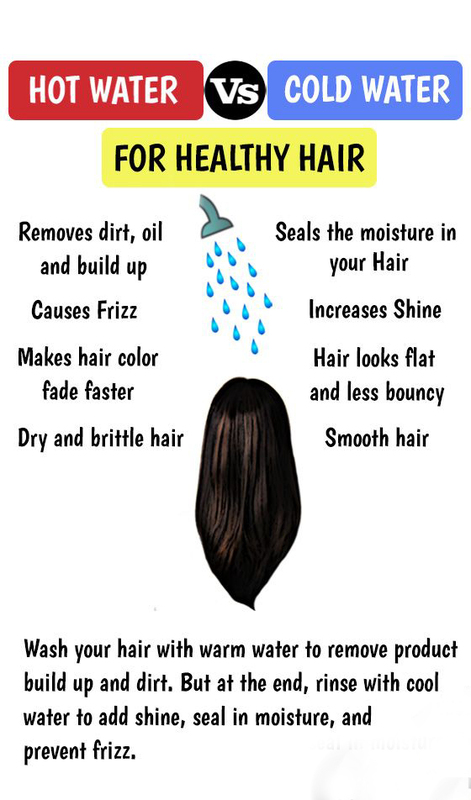 the weakness of using cold water to wash your hair:it will make your hair no bounce at all then you hair tend to flat. so wash your hair with warm water and you can wash you hair with cold water after dyeing so that it can keep your hair from fading.